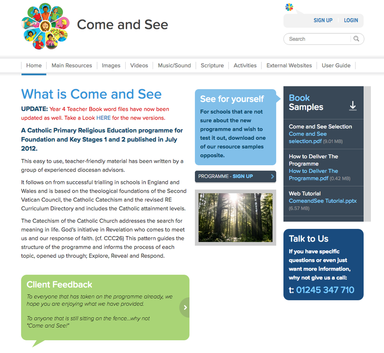 The school follows the “Come and See” religious education programme. This programme recognises the importance of the links forged between school, home and church, in the context of prayer and worship. The scheme deals with a number of themes which have relevance to the way we express our Christianity in our day to day living. There is a collective worship at the end of each Come and See unit as a celebration of the work they do.